Inviting large room on the second floor has cathedral ceilings with exposed beams, a king mahogany four-poster bed, separate sitting area, and a semi-private deck. 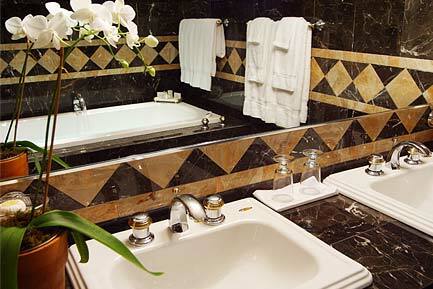 Fabulous marble-tiled private bath features a six-foot UltraBath hydro massage tub, separate glass enclosed rain shower. Additional features include wall-to-wall carpet and cable TV.